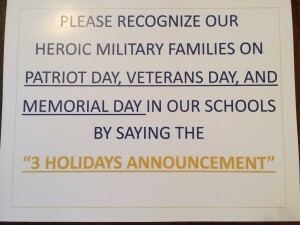 Our first school in Livingston County, NY has agreed to say the “3 Holidays Announcement” as of Memorial Day. 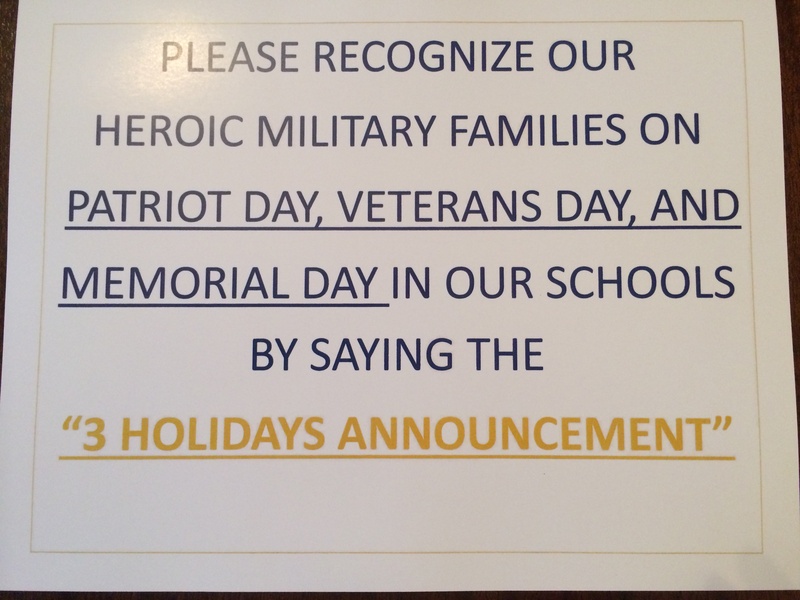 Terry D’Imperio, Math and Leadership Teacher agreed to say the announcement in Livonia High School. I met Mrs. D’Imperio in Washington D.C. She warmly welcomed me in Washington D.C. the day I arrived. Thank you ever so much Mrs. D’Imperio!